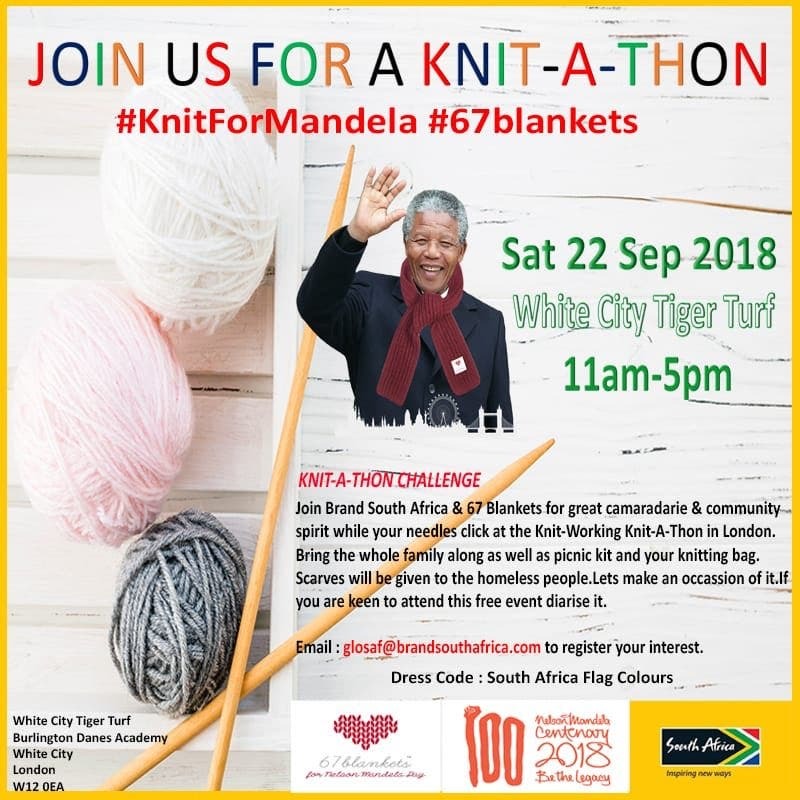 Brand South Africa and 67 Blankets are inviting South Africans in the UK to join them for a fabulous Knit-a-Thon on Saturday, 22 September 2018 in London! Nelson Mandela dedicated 67 years of his life to making the world a better place. 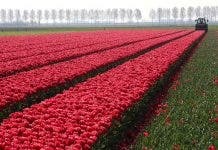 In his honour and in celebration of his 100th birthday, Brand SA is asking expats in London to devote 67 minutes (or more if you can spare it) of your own time, to make a small gesture of solidarity with humanity, and give a little love and warmth to those less fortunate, by making them a scarf. All you need is basic knowledge of how to knit/crochet, your needles/hooks, some wool and the inspiration to make a difference, one stitch at a time! On 5 December 2018 Brand South Africa and the team from 67 Blankets will be handing out these warm scarves to homeless people on the 5th anniversary of Madiba’s death. LONDON Multiple buses available form Shepherd’s Bush, Hammersmith, Paddington and other zones 1 White City underground- 7 minutes walk East Acton underground- 15 minutes walk Wood Lane- underground- 10 minutes walk Westfield shopping centre 15 minutes away PARKING is FREE and available on site. Get in touch on glosaf@brandsouthafrica.com to find out how you can participate.